In the face of death, the Church confidently proclaims that God has created each person for eternal life. As Christians, we rejoice in our belief that Jesus Christ, by his death and resurrection, has won this eternal life for us. Because of this faith which we share, when a Christian dies there is no greater source of comfort for those who mourn than to proclaim belief in the resurrection, and to celebrate the life of the one who has died in the Lord. It is our hope that these guidelines for funerals will assist you in your preparation and celebration of funeral rites for your loved ones. Funerals may take place on any day of the week except Sundays. The first step to take when planning a funeral liturgy is to contact the church office at 632-6333. The receptionist will be able to direct your call. If you have already been in touch with a funeral home they will usually handle the arrangements for date and time with the church after consultation with the family. If you do not have a funeral home we can recommend some to you. Once you have scheduled the funeral a member of our parish staff will set up a time and date to meet with your family and help you choose your readings and songs. You may also stop by the parish office and pick up a funeral planning packet which includes suggestions for music and readings prior to your appointment. This allows you to go over the readings and songs prior to the appointment. The minister involved in planning the funeral will generally meet with the family at the parish office. Friends and family gather together in the church to participate in the celebration of the Eucharist, both for the benefit of the deceased and in thanksgiving for his or her life. The body is sprinkled with holy water and covered with a white ceremonial cloth called a pall, a reminder of baptism. The assembly joins together in a gathering song, and the presider leads the opening prayer. The family joins in the procession, following the priest or deacon, and is seated in the pews on either side at the front of the church. Readings from the Old Testament, New Testament, and Gospel are proclaimed, followed by the homily and the prayers of the faithful. The gifts of bread and wine are presented and blessed, followed by the Eucharistic Prayer. The assembly then joins in the Lord’s Prayer, exchanges the sign of peace with one another, and receives the Eucharist. Note about Communion: While all Christians are united in charity, prayer and a common baptism, those within the Catholic tradition also believe the Eucharist to be a sign of our full communion in faith. While this continues to be our prayer, until such full communion can be recognized among Christians, reception of Eucharist is ordinarily reserved for Catholics who choose to receive. All who are not receiving are welcome to either remain in their seat in prayer or come forward to receive a blessing, indicating their desire for a blessing by crossing their arms over their chest. While it is not a part of the official funeral rite, a friend or family member may give a short reflection, or eulogy, after communion. We ask that this reflection be no more than 2-3 minutes in length. The priest or deacon will typically connect the readings to the deceased in the homily, so do not feel that a eulogy is necessary. Other appropriate times for a reflection are at the vigil the evening before or at a luncheon afterward. The body is honored with incense before being taken to the place of burial. This last stage of the Order of Christian Funerals is celebrated at the place where the body of the deceased will be buried. It is here, at the cemetery, where the faithful proclaim again belief in the resurrection for themselves and for the one who has died. The service consists of a short prayer, a reading from Scripture and prayers of intercession. Music is an integral part of the prayer of the funeral celebration. When you meet to plan the funeral, a bereavement minister will point out the various places in the liturgy when music is appropriate, and can explain the function of the music at these particular points in the liturgy. Of course, you may already have some ideas regarding the music. We will help you decide where in the liturgy some of your favorite selections might fit. We ask that you do not ask anyone to sing or play, or program any music, without checking with Blessed Sacrament staff first. As a matter of policy, Blessed Sacrament musicians serve as organist/pianist and cantor. (The cantor leads the assembly in the singing.) You are welcome to include other instrumentalists and vocal soloists, and the Blessed Sacrament organist/pianist will be happy to play for them. The fees for the organist/pianist and cantor are usually handled by the funeral home. If you wish to provide the stipend yourself, please be sure to bring it to the funeral. Flowers and plants in honor of the deceased are welcome. Outside of the seasons of Advent and Lent, we are happy to keep and use any plants or arrangements you may wish to leave in the church after the funeral liturgy. Flowers for the visitation may be placed anywhere at the rear of the church. Flowers at the front of the church are typically placed in front of the altar and/or lectern. You are invited and encouraged to bring photos to the visitation preceding the funeral liturgy. The funeral home will assist you in placement. Generally, the funeral home will move these remembrances. Our parish is usually able to provide the social hall and people to help set up, serve, and clean up for the luncheon. The family of the deceased provides and pays for the food. We can provide you with a list of caterers we work with regularly, or you may bring in food of your choice. There will be a funeral lunch coordinator working with you, who can answer more specific questions, including the rental fee of $150 for the rental of the hall and the fees for the servers. In recent years, it has become more common for families to choose cremation of a deceased loved one rather than burial of the body. The funeral Mass may be celebrated in the presence of cremated remains. The remains are placed in an appropriate container, and put on a table or stand in the place normally occupied by the casket. The remains may be carried to their place during the entrance procession. The container is not covered by a pall. The Easter Candle is placed next to the cremated remains, as it would be placed next to the body. The cremated remains are to be treated with the same respect given to the human body from which they came. This includes the use of a suitably dignified urn to contain the ashes, and reverent respect in transporting them to their final resting place. Nothing should be done with the ashes that would not be done with the body. 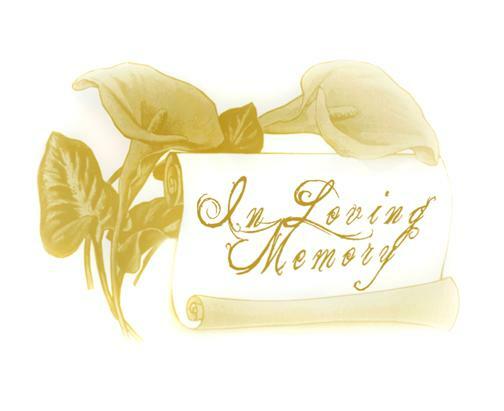 We generally do not place pictures of the deceased by the urn during the funeral liturgy itself, although you are welcome to place pictures in the church if you are having a period of visitation preceding the funeral. Very often, the funeral home takes care of the financial arrangements for the church. No one will be denied a funeral due to financial need.